Want to Know More about the Hymnal? Chuck Knows Church — THE HYMNAL. 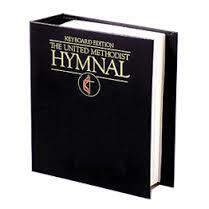 “Turn in your hymnal to page….” Heard that before in church? Chuck digs into the book that’s usually within your reach each Sunday. And he starts it all off with a solo! Smile and learn with Chuck. Jane Marshall’s name may not be known to people in the pews, but in the choir loft it’s another story.At 89, the Dallas resident is revered by music ministers and choir members for her anthems, hymns and other sacred music compositions.“She’s the consummate Methodist composer of my time,” said the Rev. Carlton Young, editor of The United Methodist Hymnal. One anthem launched Marshall — “My Eternal King.” It was her first, and she wrote it as a 26-year-old homemaker, singing alto in the Highland Park Methodist Church choir. “I just decided to do it,” Marshall recalled at the North Dallas home she shares with husband Elbert Marshall, a retired Texas Instruments engineer. 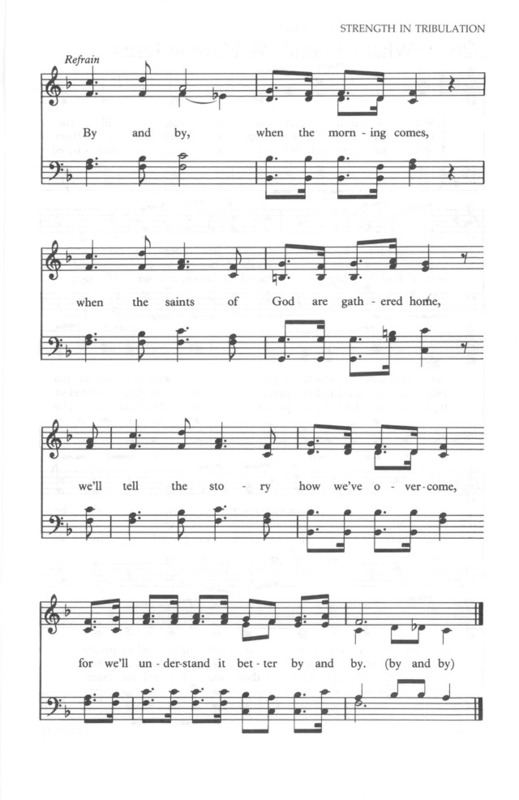 This month (July 2014) marks the 60th anniversary of the anthem’s publication in sheet music. Not only does “My Eternal King” remain in print, it’s a staple for many churches across denominations. “That’s a classic. We’ve done it a million times,” said Sid Davis, director of music and fine arts at St. Luke’s United Methodist Church in Houston. “It’s kind of in our back pocket. … It’s in our DNA.” Meditative at the start, soaring to triple fortissimo at the end, encompassing a range of tone colors and sumptuous harmonies, “My Eternal King” evokes testimonials not just from music ministers, but from fellow composers. “I wish I’d written it,” said Alice Parker, famous in choral circles for her own works as well as collaborations with the legendary choral director Robert Shaw. “It meets my ideal in every way.” While it’s true that Marshall had no record as a sacred music composer when she wrote “My Eternal King,” she didn’t come unprepared. As a small child, attending a Presbyterian church, she stood on the pew and conducted along with the choir director. Marshall’s mother played hymns on the piano and soon had her taking piano with one of Dallas’ top teachers. “Hazel Cobb,” Marshall said. “Boy, was she good. I knew my theory because of her. She encouraged me to practice, which I didn’t want to do because I was lazy, and she said so. But thank goodness I had her.” Marshall was Jane Manton then, and recalls that her family loved words as much as music. She and Elbert met in Latin class at Highland Park Junior High, where she sat one seat ahead of him (“Pulled my hair,” she said); and at Highland Park High School they sang together in Gilbert and Sullivan productions. Also in her teen years, Marshall first tried writing music. She went on scholarship to Dallas’ Southern Methodist University, majoring in music and minoring in organ. She and Elbert married in 1946. By early 1952, they had a toddler daughter, the first of three children, and were singing in the Highland Park Methodist Church Chancel Choir. Neither she nor Elbert recalls many details about her writing of “My Eternal King.” But she chose as its text the Rev. Edward Caswall’s translation of an anonymous 17th century Latin poem. 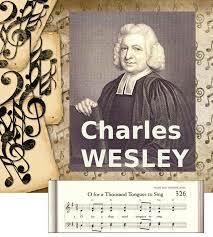 The Caswall translation was in both the Presbyterian and Methodist hymnals of Marshall’s youth. It begins, “My God, I love thee.” Marshall’s music, after establishing the mood with an organ solo, follows the poem’s intensely devotional response to Christ’s sacrifice on the cross. When she took the anthem to the Highland Park Methodist Choir director, Federal Lee Whittlesey, he wanted to do it. But Marshall had no name for it, and Whittlesey himself was perplexed. “Lee didn’t know what the title should be because the normal titles use the first lines, and he didn’t want to call it ‘My God, I love thee,’” Elbert Marshall said. “Thought it was cussing,” Jane said. “Yes, so he called it ‘A Spiritual Contemplation,’” Elbert said. “Sounds like something a banker would come up with,” Jane said. The back page of the March 20, 1952 edition of the Highland Park Methodist newsletter carried a 44-word item noting that the following Sunday, March 23, the Chancel Choir would sing the premiere of “A Spiritual Contemplation.” Raymond Jerome, an 80-year-old retired physician, was then a student singing with the choir. He recalls how surprised everyone was to learn Marshall had written an anthem. That quickly faded. “We were spellbound as we first rehearsed it,” he said. Jerome remembers a gathering excitement, culminating in a first performance — conducted by Jane —in which the choir sang with near roof-lifting force at the end. Whittlesey had a contact on the editorial board at Carl Fischer Music company in New York, and sent Marshall’s anthem there. “They didn’t want to publish it because they thought she was just a flash in the pan,” Elbert Marshall recalled. “They said, ‘We’ll publish it if she writes something else.’ So she wrote ‘None Other Lamb.’” Carl Fischer brought out sheet music for “My Eternal King,” renamed for its concluding words, and “None Other Lamb” on July 13, 1954. While the company doesn’t share sales figures, a spokeswoman said “My Eternal King” ranks among its top 15 best-selling anthems of all time. The firm has been going since 1872. A 1976 Dallas Morning News feature on Marshall reported without attribution that “My Eternal King” had sold “hundreds of thousands” of sheet music copies. The Marshalls say they never kept track. While Elbert was the breadwinner, Jane’s royalties on “My Eternal King” didn’t hurt. “It’s paid for a lot of things,” she said. If Marshall ever lacked confidence, she certainly had it after “My Eternal King.” Philip Baker remembers a story about Whittlesey bringing in a new piece for the Highland Park Methodist choir to try. “It was a light little anthem, kind of a happy thing for church, but a little simplistic,” said Baker, who would later lead the choir. “Jane came up to Whittlesey and said, ‘It’s good to see new stuff, but I can do better than that.’” As the story goes, Marshall went home that night and began to write “Awake My Heart,” perhaps her second-best-known anthem. It won the American Guild of Organists’ 1957 anthem prize. Marshall would compose such enduringly popular works as “He Comes to Us” (inspired by the conclusion of Albert Schweitzer’s book “The Quest for the Historical Jesus”), “Fanfare for Easter” and the hymn, “What Gift Can We Bring,” for which she wrote words and music. 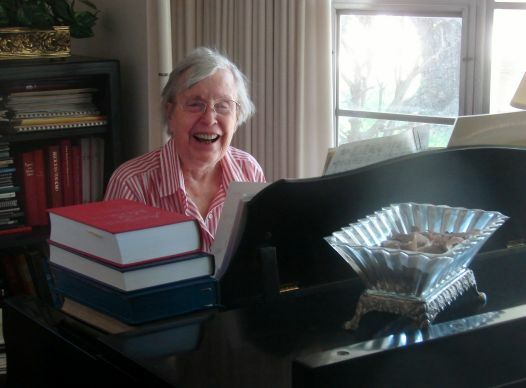 She has composed entire books of church music for children, and is one of the best-represented contemporary writers in The United Methodist Hymnal, thanks to her settings of the Psalms. Evidence of Marshall’s breadth of appeal is that she’s been honored by the Southern Baptist Church Music Conference, while also having a work in a British Unitarians’ hymnal. Writing music has been just part of Marshall’s ministry. She served as choir director at Dallas’ Northaven United Methodist Church in its early years. From 1975 to 2010, she led the summer Church Music Summer School at SMU’s Perkins School of Theology. “She was working with conservatory graduates and people who’d never given a downbeat,” said the Rev. John Thornburg, a frequent hymn-writing collaborator of Marshall’s. “You can see her influence on a whole generation of church musicians.” One is Taylor Davis, a popular composer and director of music and worship arts at First United Methodist Church in Fort Worth, Texas. In his early years, he used to take her his compositions-in-progress. “I can hear Jane as I write, asking questions like, ‘Isn’t there a better chord you could use there?’” he said. Throughout Marshall’s long, varied career — which includes writing “Grace, Noted,” a book of sermons and essays on music-making — “My Eternal King” has been the reference point. “Scarcely a month goes by before someone pulls me aside to say, ‘We just sang your mother’s anthem in church last week.’ It’s most often ‘My Eternal King,’” said Peter Marshall, her youngest child and a keyboardist for the Atlanta Symphony. The anthem is sung throughout the year in worship services, and is a favorite at Easter. As people who grew up with it die off, it’s increasingly a choice for funerals and memorial services. Peter Marshall played it on the piano last year for Sue Fowler, his aunt and Jane’s sister, at her request as she spent her last days in hospice care. Charles Albert Tindley (July 7, 1851 – July 26, 1933) was an American Methodist minister and gospel music composer. Often referred to as “The Prince of Preachers”, he educated himself, became a minister and founded one of the largest Methodist congregations serving the African-American community on the East Coast of the United States. One can imagine Tindley using this song to punctuate his sermons, offering hope to those assembled not only through exegesis of the biblical text, but also through a lyrical sung theology. Amen. You may say it every day, but do you even know what it means? And, for those United Methodists old enough to remember, why is it not at the end of hymns any longer? Chuck explains. “How Great Thou Art” is a Christian hymn based on a Swedish poem written by Carl Gustav Boberg (1859–1940) in Sweden in 1885. The melody is a Swedish folk song. Its popularity is due in large part to its wide use by gospel singers, notably George Beverly Shea of the Billy Graham Evangelistic Team. Several years later Boberg was attending a meeting in the Province of Varmland and was surprised to hear the congregation sing his poem to the tune of an old Swedish melody. 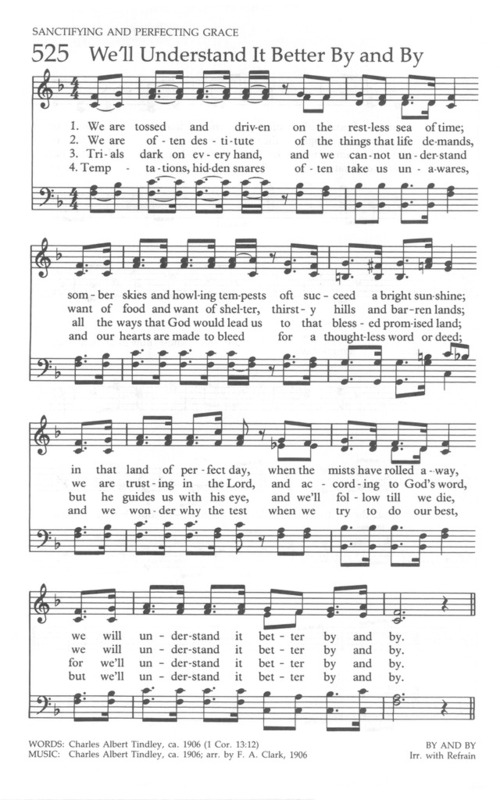 It is typically characteristic of many other hymn tunes, i.e., “Day by Day” with its lilting, warm, singable simplicity. With his original English lyrics and his arrangement of the Swedish folk melody, Mr. Stuart K. Hine published what we know today as the hymn “How Great Thou Art.” Assignments of copyrights and publication rights to an American publishing firm in 1954 helped spread the popularity of this hymn. In April of 1974 the Christian Herald magazine, in a poll presented to its readers, named “How Great Thou Art” the No. 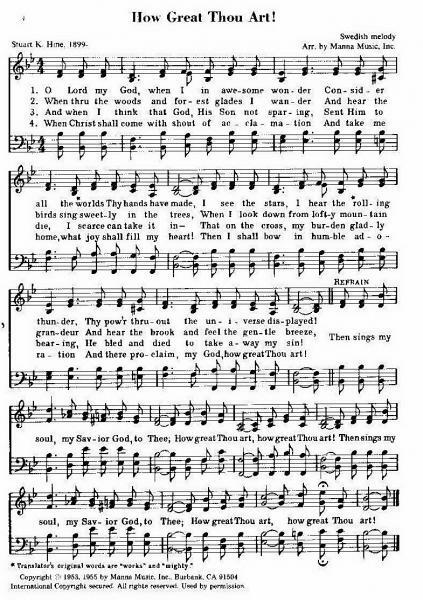 1 hymn in America.